1. Combine all ingredients except the mint sprig in a blender, and blend on high speed until smooth. 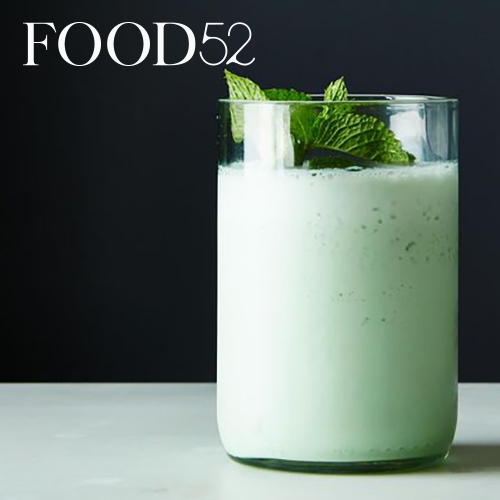 Serve in a tall, frozen glass, and garnish with a mint sprig.